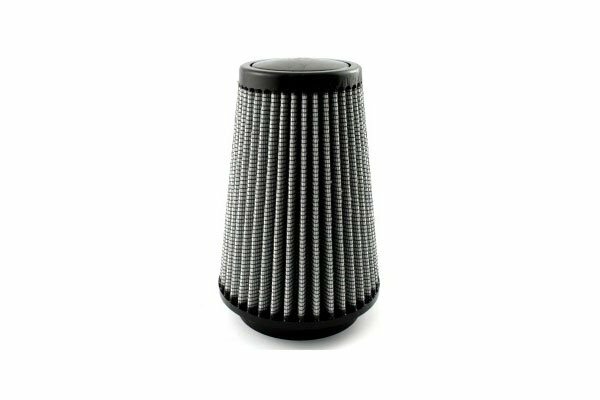 aFe 21-35507 - aFe MagnumFLOW IAF PRO DRY S Cold Air Intake Replacement Filters - FREE SHIPPING! I like this filter. It looks good, and I wanted it because it does not require oiling like many cone filters do. I switched from the blue "oil impregnated" style filter. 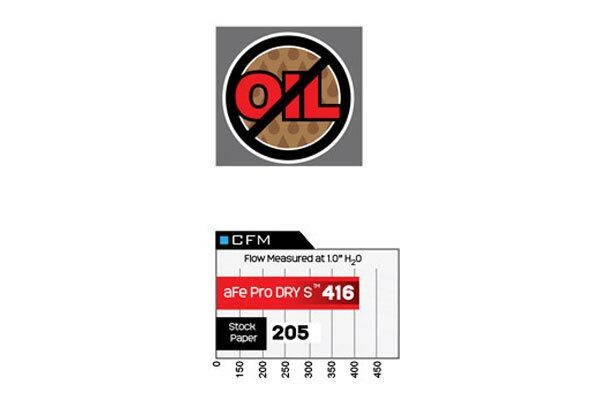 Apparently, and it makes sense, the residue from the "oil impregnated" filters can mess up the MAF sensor. 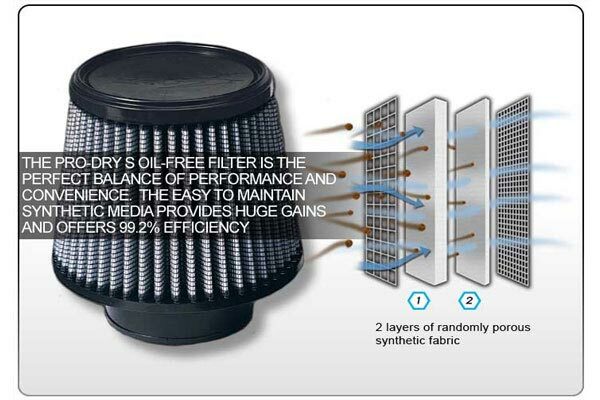 I think there is a higher possibility after you clean the filter. Anyway, the gray filter is a dry filter. If they hold up even half as long and are as efficient then I will be happy. 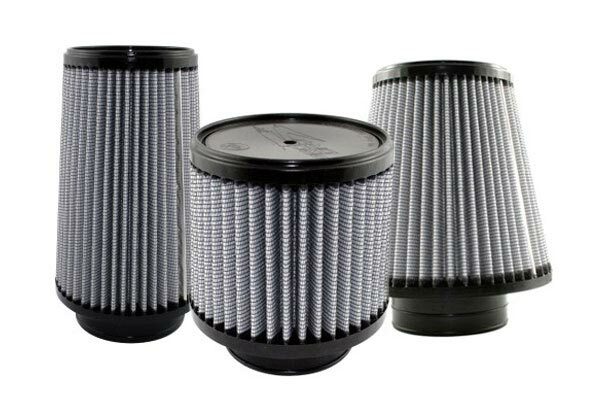 Reference # 753-216-335 © 2000-2019 AutoAnything, Inc.